Welcome to the staff, Kristina & Meredith! 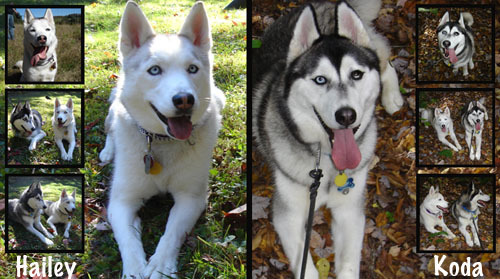 Everyone please join me in giving a warm welcome to Kristina (arooroomom) and Meredith (blueeyedghost) to the Moderator Staff of It's A Husky Thing! After some discussion about our incredible and wonderful growth, the staff decided that we should add a couple more members to the moderation staff. The decision on who was unanimous. In fact, I don't even think we had a discussion about it. We all offered our suggestions and every staff member listed these two ladies as the two they wanted. LOL. I wish all decisions were so easy! 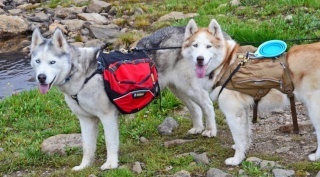 Kristina has been around the forums for many years and clearly has enough huskies to prove that she knows her stuff! We welcome her expertise, her kind-caring approach, and her open-mindedness to our staff! Her advice has proven to be invaluable to many of us! Welcome Kristina! Meredith brings to our group an objective and strong voice. She has proven herself to be professional, knowledgeable, and incredibly understanding and approachable. We all look to her for advice and wisdom as she has that ability to hear things objectively and tell us what we need to hear. We appreciate that on staff and hope that you do too! Welcome Meredith! Please join me in welcoming them. I hope you will respect and adhere to their word as you would any one of the current staff members. 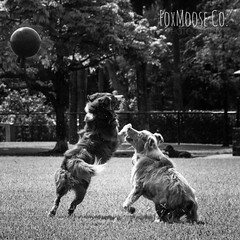 They have earned their spots and there is no question in our minds that they belong on our moderating team! Congrats ladies! I've have the privilege of getting advise from both of you! I don't think Tori and the rest of the staff could have picked better people to join the team. Remember: with great power come great responsibility!!! Woohooo, you go girls!!! Totally deserved!!! Welcome to the team, Meredith & Kristina! Way to go Meredith and Kristina! Thanks, everyone! I'm really touched and honored that you guys thought of me when it came to this. I'm really excited to start working as a moderator, and I hope I'm able to do as good a job as the rest of the staff to keep this a truly awesome place to hang out. Thanks guys! And now the fun begins!! YAY!!!! Congrats to both of you! You couldn't have picked two better ladies. Hah! And here I thought you girls were already part of the moderator team! Goes to show it's a great fit! Welcome to the "other" side ladies! glad to have you on board!!!! Congratulations Kristina and Meredith. Tori and the team couldn't have made a better choice. Subject: Re: Welcome to the staff, Kristina & Meredith!